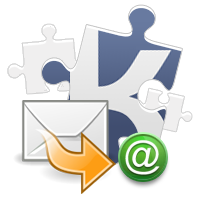 The Ticket Custom Auto-Response module will allow your Kayako system to send subject-related canned auto-replies to clients after they have just submitted a ticket. The response will be triggered if there is a word in a ticket that matches a special macros tag. The module is aimed at enhancing the ticket reply functionality, based on macros. - During a ticket creation (no matter via mail parser or from users CP) the system checks whether there are words that match special macros tags in the ticket text. - The system counts how many words coincide and how many times each coinciding word is repeated in the text. - If there is 1 match, an auto-reply is created from macro and sent to the client. - If there are 0 or 2 and more matches, no auto-reply is sent, except standard auto-replies, if any. 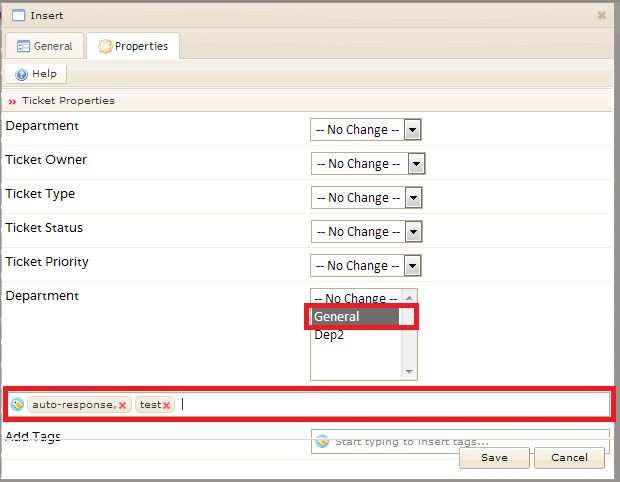 2) To assign the macro to a certain department, use the Department dropdown at the bottom of the Properties block in the Insert Macro popup. 3) Submit a ticket from Client CP with the tag-word in the text (in Subject or Body). Don’t forget to select a proper department. 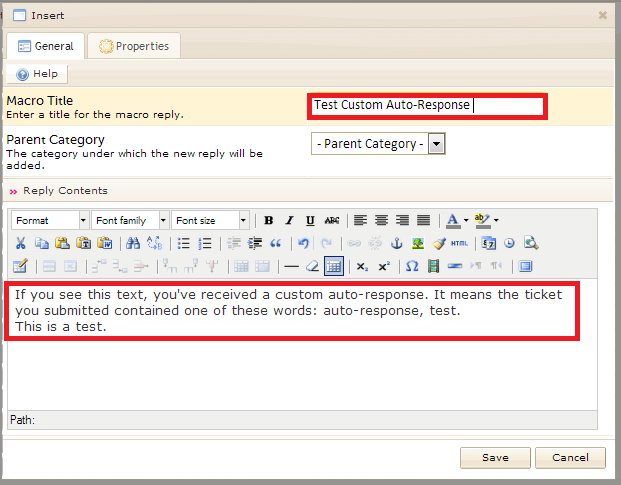 4) The macro-reply will be sent back automatically to the client if there was one match between the word and the tag.